If there's one trait that embodies Jagdish Saxena, it's perhaps the man's mettle. The first public hint of that came in 1987 when Saxena was at the top of his career. 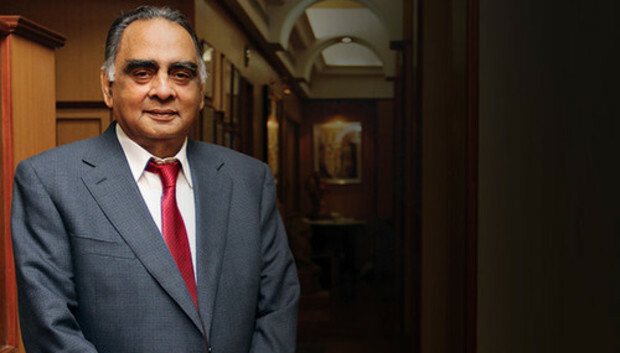 In 27 years he had gone from a commissioned officer in the Indian Air Force to managing director of Dehli-based pharmaceutical Waltner Bushnell. That's when his management dropped a bomb on him. They wanted to shutter some plants and unload 300 employees. He would have none of it. He took the 300 people who were about to lose their jobs and started Elder Pharma. Since then, he's shown that strength of character a number of times. CIO: Tell us about being what you call an 'accidental entrepreneur'. Jagdish Saxena: I belong to a family of working professionals. It was by chance that I became an entrepreneur. It was my expertise in pharmaceuticals that made me confident enough to establish my own company. But one cannot do business by chance. That needs indulgence. Business, you see, is a question of not what you are determined to do, but adapting to changes in the market. The name Elder was also accidental because it came into being when I was vacationing in Australia and saw a large trailer with the name 'Elder' inscribed on it. The trailer belonged to a company with the same name. It was also a pharmaceutical company and on that day its stocks were doing very well. CIO: What has it been like setting up Elder? I faced many challenges when I founded the company 25 years ago. There were bureaucratic issues and opportunities were very few. Today, it's a dog-eat-dog world. Big corporations are taking over small-and-medium enterprises. To get business at any cost, the ethical environment in the pharma business has been compromised. From Elder Pharma's perspective, our main challenge was to establish ourselves in the domestic market. To pursue international markets, an organization first needs to ensure that it gets its bearings right. The Indian market was an untapped one with very promising growth rates. Today, we cannot confine business to just urban areas. We realize that the opportunity in the rural market is much bigger. CIO: Is it true you consider Elder's intellectual capital your principal asset? India doesn't recognize intellectual property as a right (laughs). It's difficult for me to say that my principal asset is intellectual capital. Elder's cohesive working environment and a binding workforce of over 5,000 remains its principal asset. The sense of belonging in this organization is phenomenal. Our attrition levels are also very low. We have employees who have worked in the company for decades. CIO: How do you view Elder Pharma's competition? The demand for any Elder product is because there's competition. Sometimes, a product category succeeds because of competition, while another category collapses because people weren't sure of the product. One has to ask the question: "What have you got that big companies don't?" It's the determination to choose a difficult course and succeed. When I started Elder, we manufactured only two products. Then I decided to introduce 'Shelcal' to the market as a treatment for osteoporosis. Shelcal is made from an organic source (oyster shells). My medical department and the marketing team rejected it. But I realized that it was doing exceedingly well in the US, where it was not seen as a supplement, but as prescribed medication. For six months, I struggled because no chemist was willing to sell it. But once it was launched, Shelcal became a popular choice for calcium-deficient pharmaceutical products, thus becoming one of Elder's three biggest brands. CIO: How do you make technology decisions and investments? A challenge in Elder Pharma is giving IT solutions to the business and aligning them with its strengths and strategies in the best way possible. The information obtained from market analysis, field-doctor coverage, and product growth is shared with stakeholders who make these decisions. Every year, we prepare an IT budget for the new projects we plan to roll out. Our CIO participates in the management strategy planning in order to discuss new technologies that could be implemented. Accordingly, 2-3 percent of overall turnover is allocated to IT. We have identified process improvement, cost-cutting, faster decision-making and information flow as our key priorities. We have also looked at each and every function, and started our initiation and integration of business functions. We have succeeded in completing 80 percent of overall business integration so far. The first step was to implement an integrated Salesforce automation project. Our success rate was very high, and we aligned 3,500 sales representatives with a single solution. Online reporting and corporate intranet are also some tools which contributed to creating an integrated work flow. CIO: What kind of investments have you made in R&D? We conducted a complete analysis of the international pharma market. We felt that the products which were doing very well didn't belong to large companies, and had tremendous capabilities. So, we picked up products and convinced companies to market them. What makes these products click is the benefit they offer to patients. A lot of companies have stayed on course with us. I am a great supporter of the fact that copies of research-based products should not be sold. There's a lot of effort spent in building a product. The benefit to the patient is compromised if one buys copies. Particularly, in the disease and the chronic segment, prescription recall is longer, and the patient compliance is significant. We have a fairly large R&D department, but we don't discover any molecules. I don't have the means to do it. Recovering molecules requires millions of dollars of expense, as well as time. For R&D, import substitution is not an attractive option. It's dependent on our source of supply. This is the reason we don't conduct new product research. We improve a product's quality, a drug's delivery system, and product availability. CIO: What are your plans? There have been major transformations in the technology infrastructure of our company. All the manual processes in Elder have been replaced by IT-enabled ones, leading to a direct profit of Rs 1 crore. We have invested in an opex model, and therefore, the burden of the working capital has been reduced from IT's point of view. I also believe that with our acquisitions in Bulgaria and UK, we are slowly moving towards the global market. With this progress and success rate, I hope to take Elder Pharma to a Rs 5,000-crore group in the years to come. « IT Cements Madras Cements' Success:Dharmakrishnan A.V.